For someone like me, all you have to say is ‘Adventure Time’ and I’m like an excited six-year-old who has been left to the own devices in Mr Simms, include the word ‘book’ and that’s just adding an energy drink. 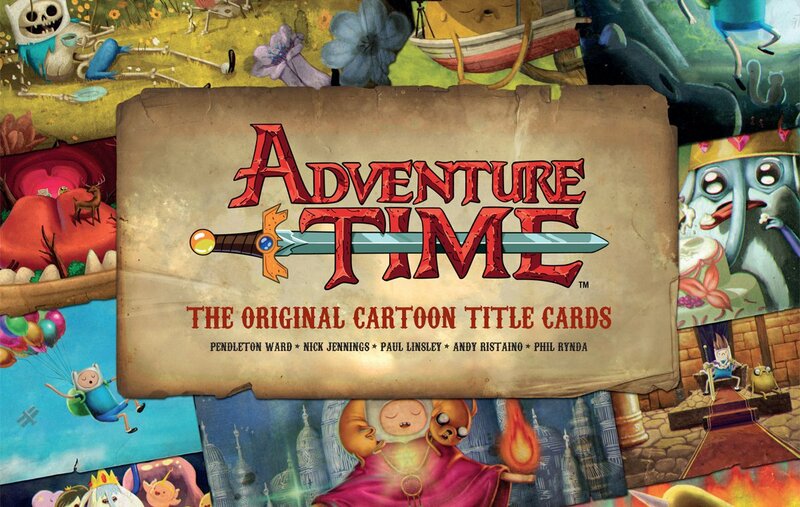 So when I got my mitts on a copy of Adventure Time – The Original Cartoon Title Cards I was pretty excited to see what it covered that the other graphic novels hadn’t. In short, this is a lush art book for the slightly more grown-up (and only slightly) lovers of Finn, Jake and the land of Ooo. Every episode of the Primetime Emmy Award-winning show is introduced with a hand-painted title card, inspired by everything from b-movies to technicolour romance. These images are only seen for a moment but have caught the attention of millions of viewers so this book takes a deeper look at these beautiful pieces of art and the inspiration behind them. Not only is this book beautiful and tactile it’s also great fun with some excellent quotes from both the show itself and it’s creators. If you’re an Adventure Time fan this book is guaranteed to keep you smiling for hours.